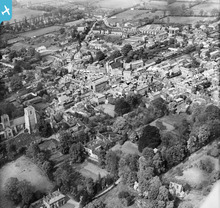 About the group Aims to identify buildings and areas of interest in and around the market town of East Dereham, Norfolk, and share information about their history. 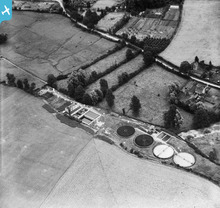 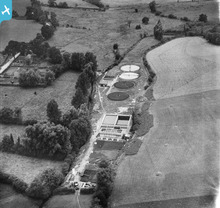 [EPW054906] East Dereham Urban District Council Sewage Works, Dereham, 1937. 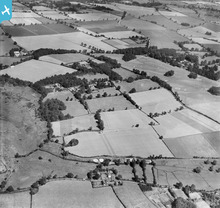 This image has been affected by flare. 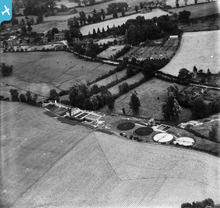 A fine picture of Dereham in May 1928. 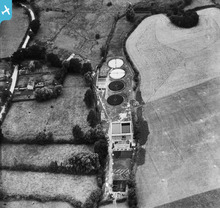 If you register as a member of 'Britain From Above' you can zoom-in on the image to see more detail, you can also then add information about buildings etc. 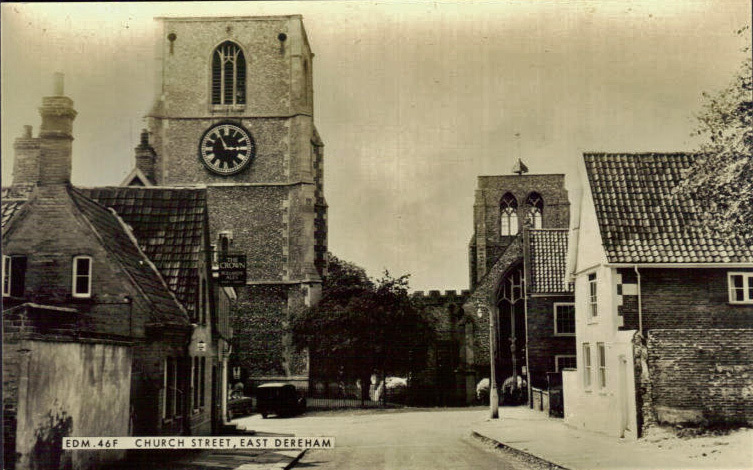 The Dereham History group's aim is to build-up a picture of the history of the town up to the dates the photographs where taken. 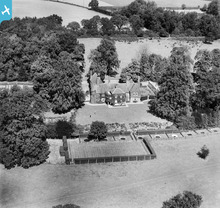 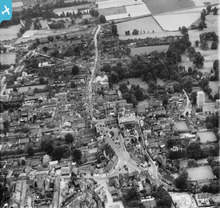 If your family lived or had a shop in Dereham in 1928, and you can find it on this air photograph, you can drop a marker on the image showing the location and write a brief note. 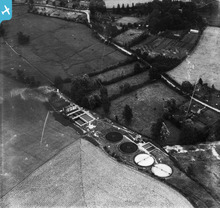 There are other photographs of Dereham dating from 1920 and 1937. 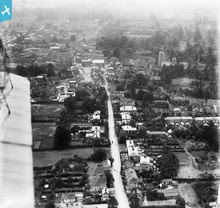 The two photographs of Dereham dated 1920, are probably the earliest air photographs of the town known to date. 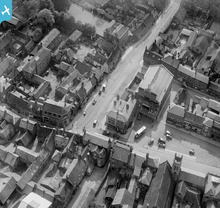 This detailed photograph gives a wonderful view of the south end of the market place and Church St in 1928. 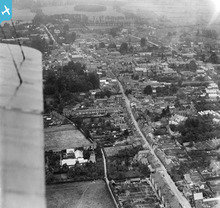 It is interesting that damage to buildings caused by the Zepperlin bombing of 1915 is still visible. 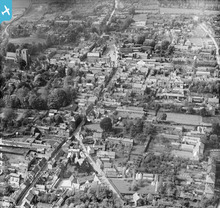 This area of Church Street suffered the most damage from the Zepperlin bombing raid of 8th Sept 1915, the cottage was never rebuilt. 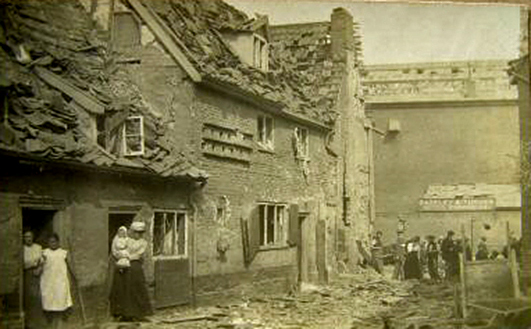 The postcard by H. T. Cave shows the dazed cottagers the morning after the raid. 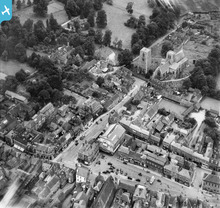 I have just added a postcard looking down Church St towards the church. 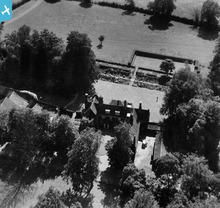 The Crown public house can be seen on the left hand side, it has now be demolished. 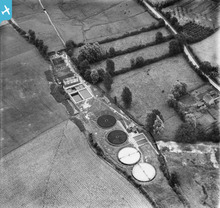 The two earliest Aerofilm air photographs of Dereham date from 1920. 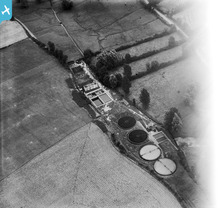 If you register as a member of 'Britain From Above' you can zoom-in on the image to see more detail, you can also then add information about buildings etc. 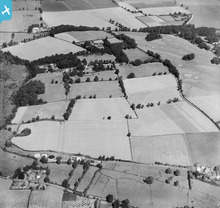 In this group the aim is to build-up a picture of the history of the town on the dates the photographs where taken. 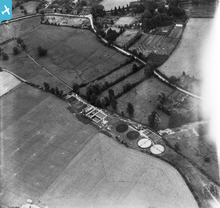 If your family lived or had a shop in Dereham in 1920, and you can find it on this air photograph, you can drop a marker on the image showing the location and write a brief note. 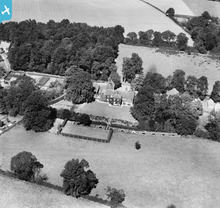 There are other photographs of Dereham dating from 1928 and 1937.